A Electronic Arts anunciou que muitos de seus jogos antigos com suporte multiplayer ficarão offline. "A decisão de retirar jogos antigos nunca é fácil. Os desenvolvedores e a equipe deixam de lado esses títulos quase tanto quanto os jogadores. Mesmo eles sendo substituídos por jogos mais novos menos 1% de todos os jogadores da EA continuam nos jogos mais antigos, e não é viável continuar a se empenhar neles. Nós constantemente estamos trabalhando para deixar nossos jogos mais antigos disponíveis o máximo possível. Esperamos que vocês tenham tido muitas horas de diversão desses jogos e agradecemos por vocês terem os escolhidos." Battlefield 1942 for PC and Mac (including The Road to Rome and Secret Weapons of WW2 expansions). Battlefield 2 for PC (including Special Forces expansion). Battlefield 2: Modern Combat for PlayStation 2. 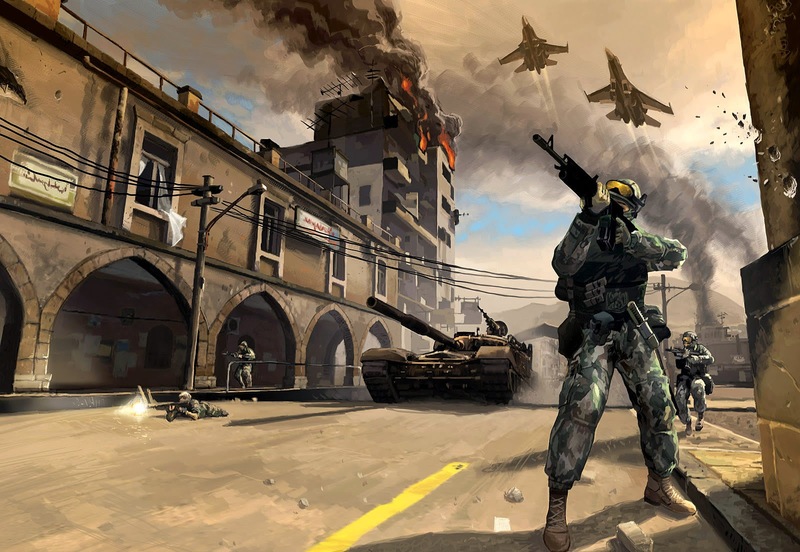 Battlefield 2142 for PC and Mac (including Northern Strike expansion). Bejeweled (r) 2 for the Wii. Command & Conquer 3: Tiberium Wars for PC and Mac (including Kane's Wrath expansion). Command & Conquer: Generals for PC and Mac (including Zero Hour expansion). Command & Conquer: Red Alert 3 for PC and Mac. Dracula - Undead Awakening for the Wii. Dragon Sakura for Nintendo DS. EA Sports 06 for PC. FIFA Soccer 08 (KOR) for the Wii. FIFA Soccer 08 for Nintendo DS. FIFA Soccer 09 for Nintendo DS. FIFA Soccer 10 for Nintendo DS. FIFA Street 3 for Nintendo DS. Full Spectrum Warrior: Ten Hammers for PlayStation 2. GREEN DAY: ROCK BAND for the Wii. James Bond: Nightfire for PC. Madden NFL 08 for Nintendo DS. Madden NFL 09 for Nintendo DS. Master of Orion III for PC. Medal of Honor: Allied Assault for PC and Mac (including Breakthrough and Spearhead expansions). MySims Racing for Nintendo DS. MySims SkyHeroes for the Wii and DS. NASCAR Sim Racing for PC. NASCAR Thunder 2003 for PC. NASCAR Thunder 2004 for PC. Need for Speed: ProStreet for Nintendo DS. Need for Speed: Undercover for Nintendo DS. Neverwinter Nights 2 for PC and Mac. Neverwinter Nights for PC, Mac and Linux (including Hordes of the Underdark and Shadows of Undrentide expansions). Skate It for Nintendo DS. Spore Creatures for Nintendo DS. Spore Hero Arena for Nintendo DS. Star Wars: Battlefront for PC and PlayStation 2. Star Wars: Battlefront II for PC and PlayStation 2. THE BEATLES: ROCK BAND for the Wii.